Well... I'll just call it a win. But really, it was a humbling defeat in a game of cat and mouse. My headlights now work, but I will never really know why. I have googled this problem to death. I have thrown parts it, followed every wire. So I began second guessing everything I did. One of the relays I originally had some corrosion on on tang, so I replaced both the dimmer and headlight relays with spares from a Matrix fusebox. The part number is different in spite of being the same fuse in the same location for the nearly identical model, both Toyota parts as well. I tested the new relays. The relays themselves and the switch were working, but still no headlights! So like I said, back to the drawing board. 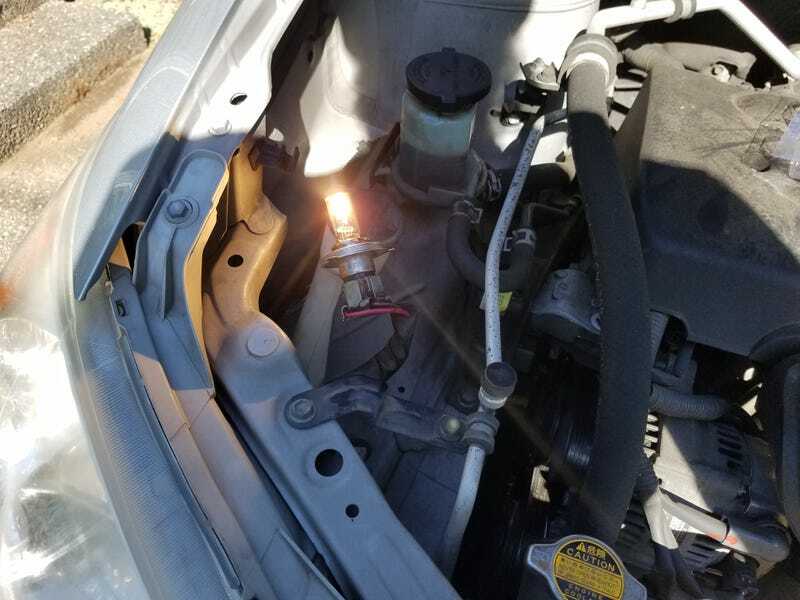 I find a spare bulb that came with the car. I plug it in. This time... light?!?!? Didn’t work when I first tested it two weeks ago, but now does! Move the bulb to the other side.. it works! Upon inspection, the bulbs in there had some little broken bits... But those weren’t there when I removed them last week?!?!? So what happened? The relay and or module DID actually fail two weeks ago, and then when I replaced them, I blew both bulbs at the same time??? ?